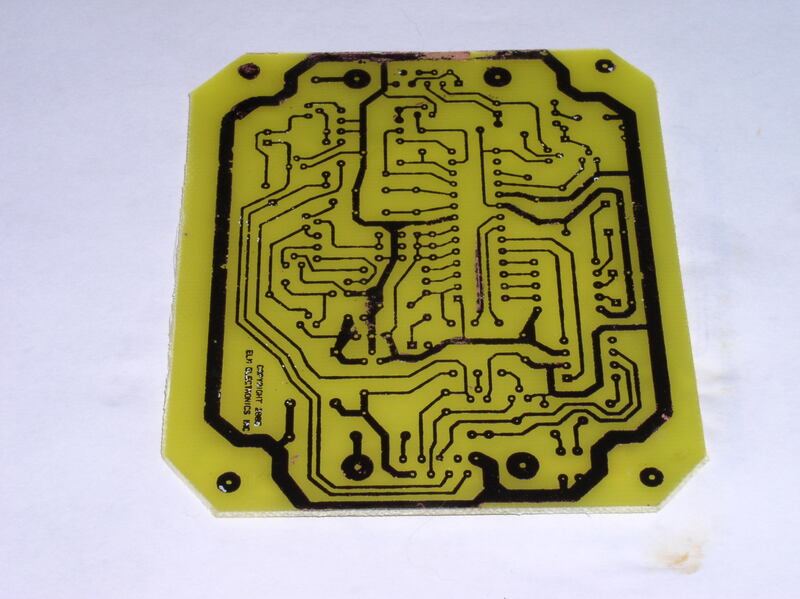 Here is my first attempt at making a PCB using photo paper an iron and a laser printer. I am pretty pleased with the results, especially since this was the first try. I think I need to use more consistent pressure with the iron. It etched pretty cleanly with only a few rough traces. This entry was posted on Tuesday, April 24th, 2007 at 9:55 pm	and is filed under Ramblings. You can follow any responses to this entry through the RSS 2.0 feed. You can leave a response, or trackback from your own site.